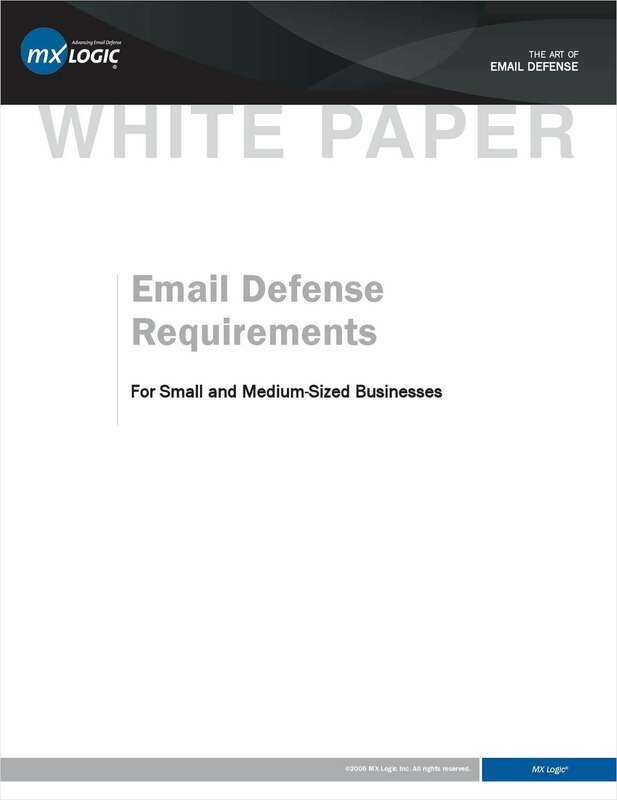 "Email Defense Requirements for Small and Medium-Sized Businesses"
Free White Paper: "Email Defense Requirements for Small and Medium-Sized Businesses"
Small & medium-sized businesses need to combat the wide range of email threats. What should they look for in a solution? By submitting this content request, I have legitimate interest in the content and agree that MX Logic, their partners, and the creators of any other content I have selected may contact me regarding news, products, and services that may be of interest to me.